The Business Development Caucus held its first Business Town Hall event of 2015 at Virginia Western Community College in Roanoke last week. Attendees included several of the region's business leaders, economic & workforce development advocates, and representatives of the Virginia Community College System. Legislators from Northern Virginia, Central Virginia, Southwest and Southside Virginia also attended, as did I of course, representing the VA Chamber's Small Business Committee. This event was the BDC's 17th since founded in 2012 and carried us over the 500th business participant mark. These leaders shared some of the issues that the Roanoke region faces in its effort to recruit employers. Interestingly, topography presents one of their more arduous challenges as this mountainous region limits the availability of suitable development sites. Obviously, no legislation will remedy this issue directly, but opportunities to improve the readiness and marketability of the few sites that are practical for development do exist. We also heard issues relating to broadband and other infrastructure needs, economic incentives, and workforce development among others. Our next Business Town Hall meeting will be held in New Kent County, next Tuesday 9/29 at the New Kent Winery and is being hosted by the New Kent Chamber of Commerce (where my own company is a member). This event is open to businesses from New Kent, James City, Charles City, Gloucester, King and Queen, King William & Prince George counties and area cities. While all business/industries are welcome, a portion of the discussion will be reserved for Rural and Agricultural issues. In addition to members of the General Assembly (six as of today), representatives from the Center for Rural Virginia and Virginia Farm Bureau will also participate. If you are an area business leader, rural business advocate or farmer please consider joining us. Click the invitation thumbnail to the right for event and registration information. There is no charge for this two-hour event and it includes a light lunch - but space is limited. Following our final 2015 event in Northern Virginia, participating BDC members will hold a retreat to review ideas and evaluate potential pro-job growth legislation for the 2016 session of the General Assembly. Please consider sharing this information with business leaders in your area. Traveling with the BDC and meeting with leaders across the Commonwealth provides me an informative and effective means for learning and acting to address regional issues regarding Virginia's economy. Subsequently, this translates into more opportunities for citizens here and across the state. For more information on the BDC, visit www.BDCVA.org. Of course, anyone is free to contact me at MikeWatson.VA@gmail.com for more information. here or anywhere in Virginia? Ask them to follow me on Facebook or Twitter to keep up with BDC activities. Please consider sharing this with friends and family who may be interested in issues and activities that affect our state and region. To subscribe simply click here. Does anyone want to put something together for this? I know it's late notice. I think it went out last week or so but I hadn't had a chance to follow up to see if you all got it. Let me know if you think we have enough interest or if it can work. I can update calendars & websites but email lists I have may have gotten stale. I recently sent you an email about an opportunity that we have to speak to the Peninsula Tea Party in September 2015. I've attached information about our speaker and presentation in case you haven't had a chance to look them over. 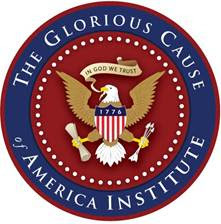 since one of our speakers, GK Mangelson, will already be in your area, The Glorious Cause of America Institute will sponsor the speaker and cover the honorarium and traveling expenses. This event would be free of charge! GK would be available to speak to your group on September 21st or 22nd. If these dates don't coincide with your regular meeting schedule, we would love to do a special event for you! http://www.thegloriouscauseofamerica.org/schedule_speaker.php If you would like a DVD with a recording of one of Mr. Mangelson's presentations please reply with the mailing address you would like it sent to. This is coming up pretty quickly and we are making travel arrangements, so please let us know if you are interested. If you need additional information or have further questions, please let me know. Thank you for your consideration! We would love to work with you!